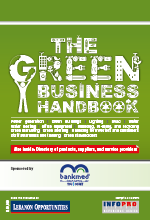 Executive summary: A Lebanon-centric manager’s definitive resource for going green in a profitable manner, the Green Business Handbook explains how every business can make simple changes that save costs and natural resources. It targets local company managers and decision-makers, providing them with practical options to go green on various levels, enhance their corporate image and develop a new organizational culture. It includes lists, tables, pictures, and descriptions of some of the main active green NGOs. The book includes a rich directory of more than 200 local suppliers, consultants, developers, manufacturers, partners and achievers active in the field of green business. Executive summary: Overview of the positions of the private sector, labor unions, and the public on a number of socio economic issues including the minimum wage, taxation, fiscal and monetary policy, the, debt, education, health, environment, rental law, and other contentious matters. Executive summary: Technical Barriers to Trade (TBT) have a direct implication on the exports of the food manufacturing industry. An initial study was carried out in 2004 and updated in 2008 to assess the effects of TBTs and determine the changes that have taken place, and simultaneously identify the main challenges. The study also looks into manufacturing practices, packaging and labeling, and future outlook of businesses and presents recommendations for both the public and private sector on how to address policy and technical issues that will eventually limit export constraints faced by the sector.